Harrogate CC suffered a first defeat in four ECB Yorkshire Premier League North outings when they were beaten on the road at Sheriff Hutton Bridge. Skipper George Ross lost the toss and his side struggled to make inroads with the ball, an unbeaten century from Louis Foxton (115 not out) helping the hosts to 285/4 from their 50 overs. Ashley Griffin picked up two wickets for ‘Gate, but they came at the cost of 66 runs. The Roosters got off to a solid start in reply, openers Josh Atkinson (44) and Alexis Twigg (36) providing a useful platform for their chase. A 102-run stand between Harry Stothard (64) and Will Bates (47) kept the visitors in the contest, but they couldn’t score quickly enough and only made it to 220/7 in the end. ‘Gate remain eighth in the league standings despite the result. Sessay’s struggles continued as they went down by 70 runs at home to title-chasing Woodhouse Grange. Mark Wilkie’s team have been stuck in the relegation zone for a number of weeks now and find themselves eight points adrfit of safety following Saturday’s reverse. Woodhouse put 216 on the board, Matthew Till the pick of the home attack with 2-48. Sessay made a disastrous start to their response, slumping to 21/4. 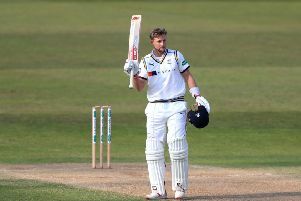 They were in even deeper trouble at 75/9, and only a defiant half-century by number nine Tim Hall (63) saw them into three figures, the hosts eventually closing on 146.